What more has to happen? Posted on July 20, 2010 | Comments Off on What more has to happen? Frankly, I don’t understand. What has to happen in this country for the different political forces to sit down to discuss and fix the fight against organized crime? Haven’t the politicians paid attention to what’s been going on over the last two months? Haven’t they heard the message, as clear as it is terrifying, that the gangsters are sending? What are they hoping for? Aside from the average of 200 killings per week, let’s remember what violent events have occurred in the last two months. They kidnapped a high-profile political figure — Diego Fernández de Cevallos. 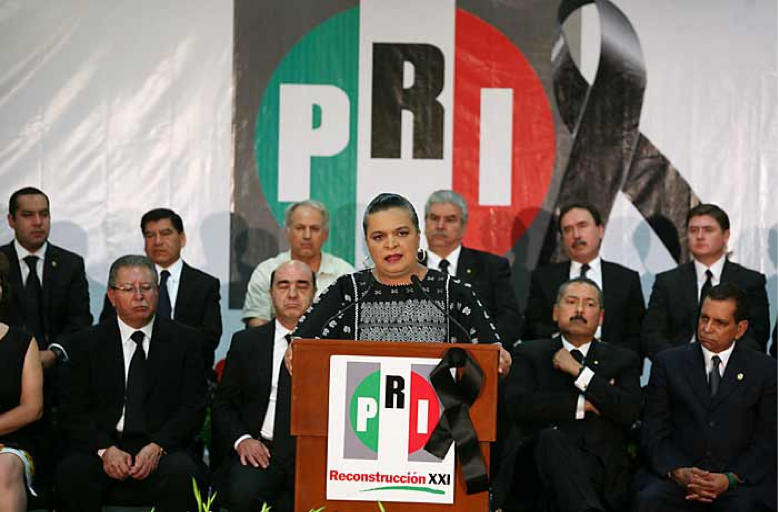 … The PRI candidate for governor of Tamaulipas … was ambushed and assassinated just a few days before the election. … In Michoacan, the convoy of the Public Security Ministry was ambushed in broad daylight on the Zitácuaro-Toluca expressway. … Ten federal policemen lost their lives. …. In Chihuahua a group of heavily armed men entered a drug rehab clinic and killed 19 patients. This Sunday, in Torreón, some 30 men armed to the teeth broke into a party and executed 18 persons. On Saturday, in Ciudad Juárez a car bomb exploded killing four. … It was a coldly calculated attack designed to assassinate federal policemen…. All of this in two months. After the assassination of Rodolfo Torre, President Calderón called for a dialogue to discuss — and presumably to correct–the strategy in the fight against organized crime. Manlio Fabio Beltrones, the leader of the PRI in the Senate, has called for the same for a long while. This dialogue couldn’t happen until after the July 4th elections. The vote has come and gone, and the dialogue still hasn’t happened. Beltrones and other priistas say they are ready for a substantive discussion. … Some perredistas are also expressing interest …. For his part, the President has made changes in his team. It would seem that everybody is ready. What are you waiting for, gentlemen? Do it, before this accursed violence escalates yet again. Comments Off on What more has to happen? 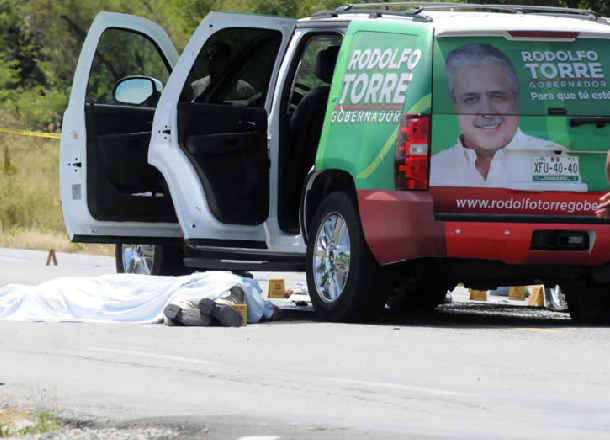 The assassination of Rodolfo Torre Cantú, the PRI candidate for governor of Tamaulipas, is the country’s most serious political killing since the 1994 death of Luis Donaldo Colosio, the PRI’s presidential candidate. Today’s NYT story has the basic information as currently known. Most speculation in Mexico points to the violent struggle between the Gulf Cartel (CDG) and Los Zetas—formerly the armed wing of the CDG, and now their rivals—as the proximate cause of the surge in violence in Tamaulipas this year. The Zetas, in particular, are suspected of being behind the ambush that killed Torre Cantú and four of his campaign staff. In May, the PAN mayoral candidate for the town of Valle Hermoso, José Mario Guajardo Varela was assassinated. Valle Hermosa was where Torre Cantú was heading when his caravan was ambushed. In eight of the 43 towns in the state, either the PRD or PAN did not field mayoral candidates, mostly because of intimidation and fears for personal safety.